Crammed with practical exercises, dowsing charts, and maps, all accompanied by easy-to-follow instructions, this pack includes everything you need to get started. Follow the simple exercises to discover how to interpret the movements of the pendulum and your yes and no responses; then begin to experiment with a whole host of applications. Answer questions, make decisions, predict events, find your perfect partner or job, locate lost objects, search for missing people or pets, uncover hidden treasure or archaeological remains, detect water, dowse over maps, improve health, balance chakras, and more! 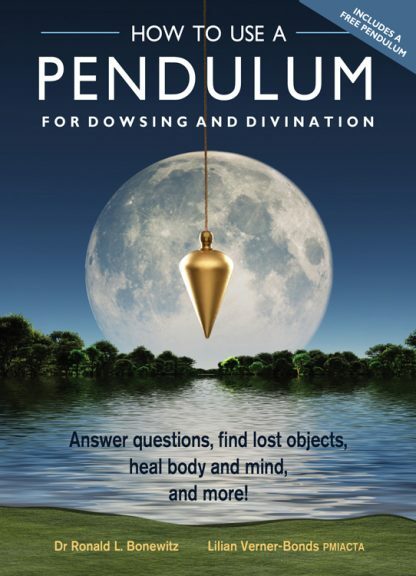 Whether using your pendulum just for fun or as a tool to seek guidance in your life, you�ll be amazed at the results. Dr. Ronald L. Bonewitz is a psychologist with a special interest in Eastern mysticism and ancient cultures and beliefs. He is a well-known teacher and lecturer on personal growth, running regular personal-development courses worldwide. Lilian Verner-Bonds is a leading healer, personal growth teacher, intuitive psychic, palmist, and color therapist whose work is renowned throughout Europe, America, and Australia, where she runs regular courses and workshops on a variety of topics.